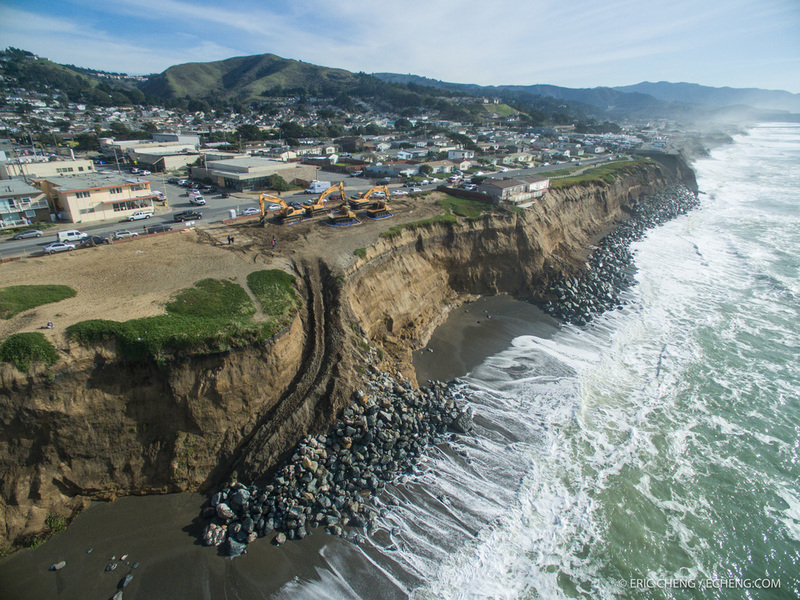 On January 25, 2016, a state of emergency was declared in Pacifica, California, after king tides and storm surge pummeled the coastline. 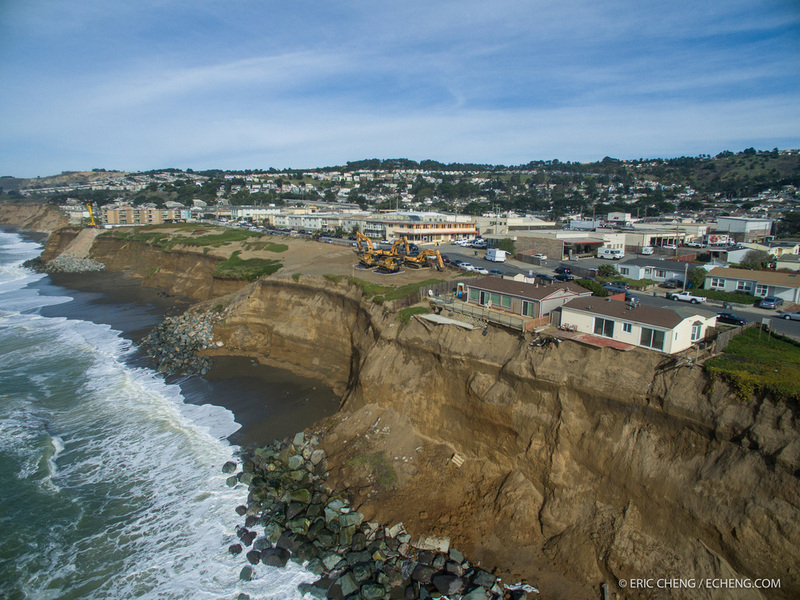 Many of the apartments in Pacifica are hanging off of soft sandstone cliffs and are in danger of falling off. I went out today and captured some pictures and video by air using a DJI Phantom 3 Professional, the perfect tool for assessing coastal damage. I don't think these apartment buildings are going to be there for very much longer. There are a few more pictures from today at my portfolio site. I also generated a DroneDeploy map, but didn't have much time to do the mapping flight (it's OK, but not spectacular). 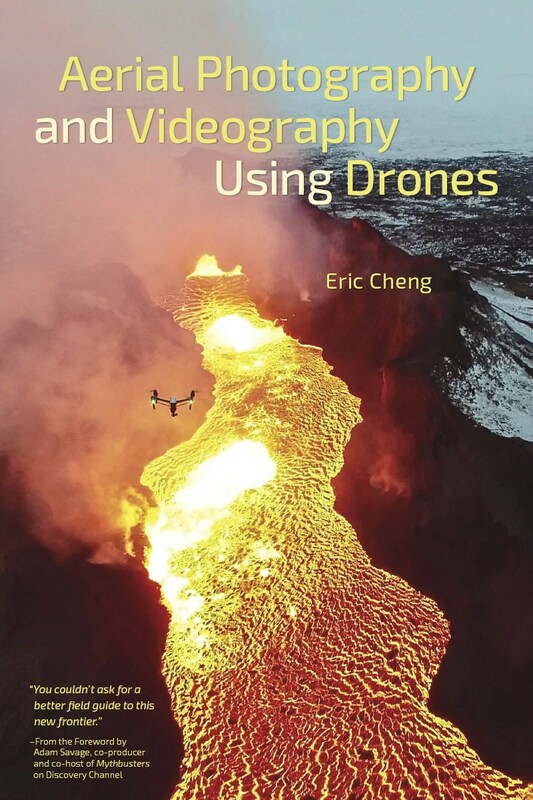 The georectified orthomosaic imagery generated by DroneDeploy will be shared with a citizen science El Niño monitoring project put on by The Nature Conservancy. 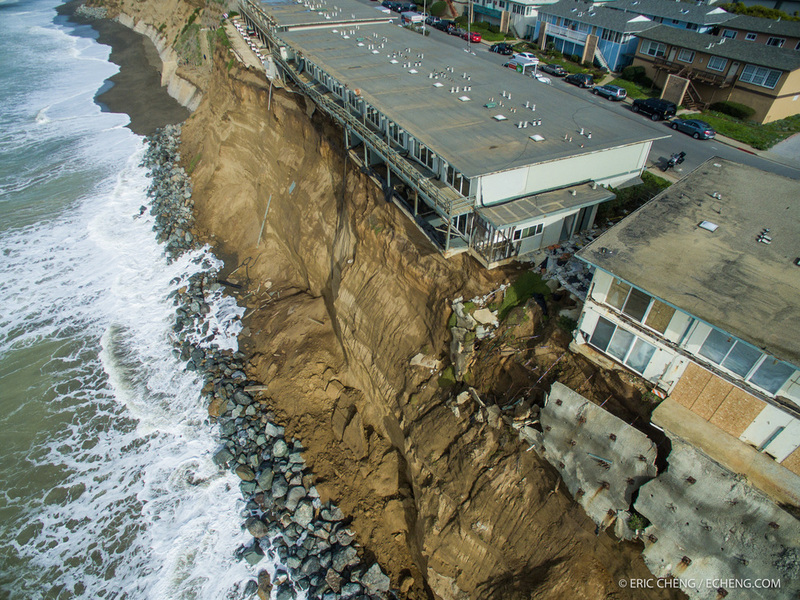 If you're interested in helping TNC to gather as much data about El Niño as possible, use your phones and drones to help capture GPS-tagged imagery of tide and surf events! Head to nature.org/elnino for more information. Here's a 3D model from mapping data captured by George Krieger (a bit further south, along the coast).